She was actually encouraged to become a performer by the holy sisters who taught her at convent school, in Chicago, where her family had moved when she was three. When she graduated, her mother brought her to New York for a year of operatic training, building on the sound musical instruction she had received throughout girlhood. Bit parts in H.M.S. Pinafore and Evangeline at the Park Theatre in Brooklyn brought her to the attention of Tony Pastor. She played his old Broadway Music Hall in 1880, then went out to San Francisco and a tour of Western mining towns at his best to get a bit of seasoning. Apart from the theatre itself, Russell was Pastor’s greatest achievement as a promoter. He gave her the stage name (meant to sound like “Lily and Russell”), he began to tout her as the most beautiful woman in the world. When she returned to star in his inaugural production at his new Tammany Hall location The Pie-Rats of Penn Yan, he billed her as “the beautiful English ballad singer I’ve imported at great trouble and expense.” Rumor of “Airy, Fairy” Lillian’s off-stage pecadilloes out West had preceded her in the pages of the New York papers, no doubt fueled by some of the scandalous costumes she had worn. From that day forward, whispers about her private life were as important to her career as her singing voice. She was married four times, divorced twice, annulled once, engaged several times more, and was frequently spotted in the company of Diamond Jim Brady over a period of forty years. Throughout the eighteen eighties and nineties she was chiefly a star in musicals, operas and operettas. In 1899, she replaced Fay Templeton as the female lead of Weber and Fields‘ burlesque company, starring in shows with unbelievable names like, Whirligig, Fiddle-dee-dee, Hoity-Toity, Twirly-Whirly, and Whoop-dee-doo. 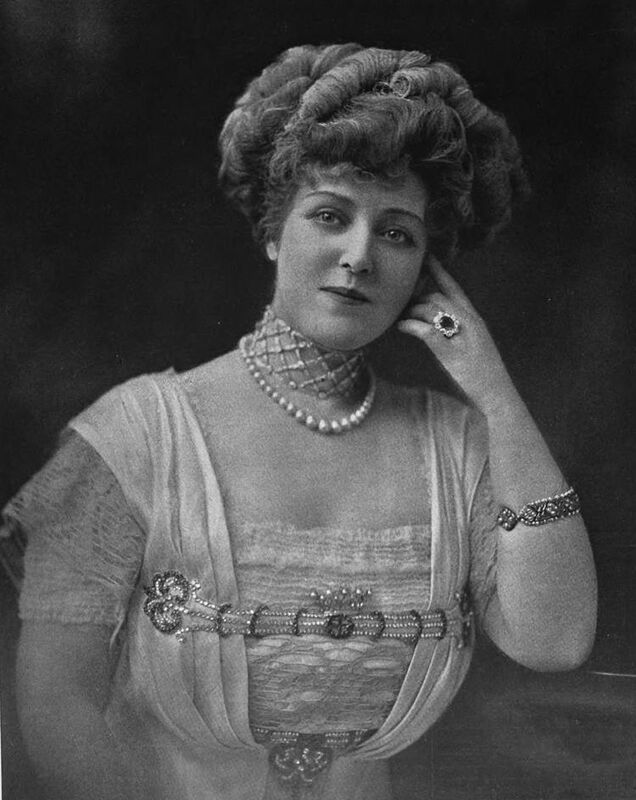 After Weber and Fields split up in 1904, the aging (and thickening) Russell went back to vaudeville where she commanded the very highest salaries. She sang at the Palace as late as 1919. The Lily went back to soil in 1922. 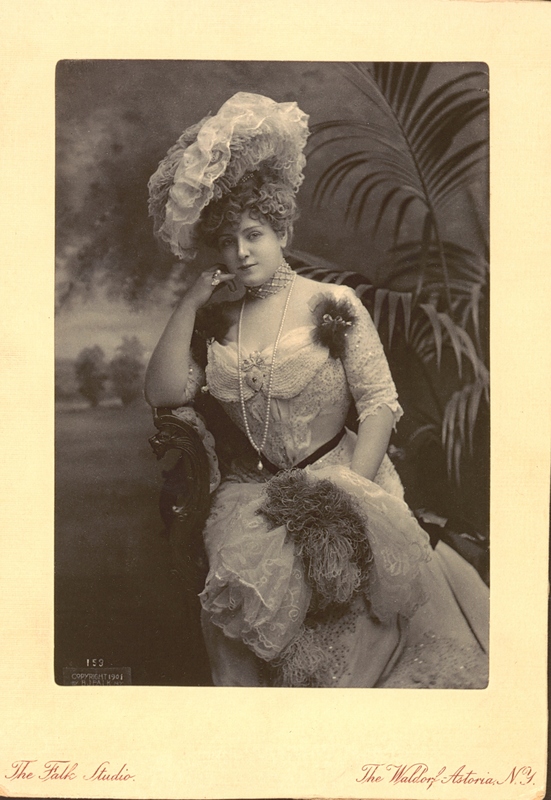 To find out more about these variety artists and the history of vaudeville, including stars like Lillian Russell, consult No Applause, Just Throw Money: The Book That Made Vaudeville Famous, available at Amazon, Barnes and Noble, and wherever nutty books are sold.